Business View Caribbean interviews Noel Thompson, Managing Director of Algix Jamaica Limited, for our focus on Business Excellence in Jamaica. Algix Jamaica Ltd. is located on Barton Isle in beautiful St. Elizabeth, Jamaica. The thriving, four-year-old aquaculture farm operates on 300 acres of lush land with over 120 acres of ponds and is committed to the growth and maintenance of Jamaica’s precious resources: its environment, people, and culture. Since day one, Algix Jamaica has partnered with Caribbean Producers Jamaica (CPJ) to distribute the Algix brand “Pride of Jamaica’ fish to the hospitality industry and local consumers throughout the island. Believing you are what you eat, Algix is focused on growing the healthiest possible fish, which currently include tilapia, pangasius Kai (known locally as basa), and the latest offering – freshwater shrimp. For feed, the company uses a one-of-a kind floating pellet, certified as pathogen-free by the USDA (U.S. Dept. of Agriculture) that ensures fish are eating at the top of the water and not the bottom. The feed is loaded with vitamins and minerals, contains no hormones, and is environmentally sustainable. Water is supplied from the Black River to the farm’s ponds, most of which are flow-through, with only nursery ponds being stagnant. The ponds are continuously replenished with crisp, clean water to ensure the fish grow in a healthy environment. Due to the higher water quality, Algix is able to stock more fish at higher densities in each pond. Currently, Algix Jamaica is just producing fish for regional hotel markets and local consumption. Rather than retailing the product themselves, Algix uses distributors, and some of those sell into the Caribbean under different brands. 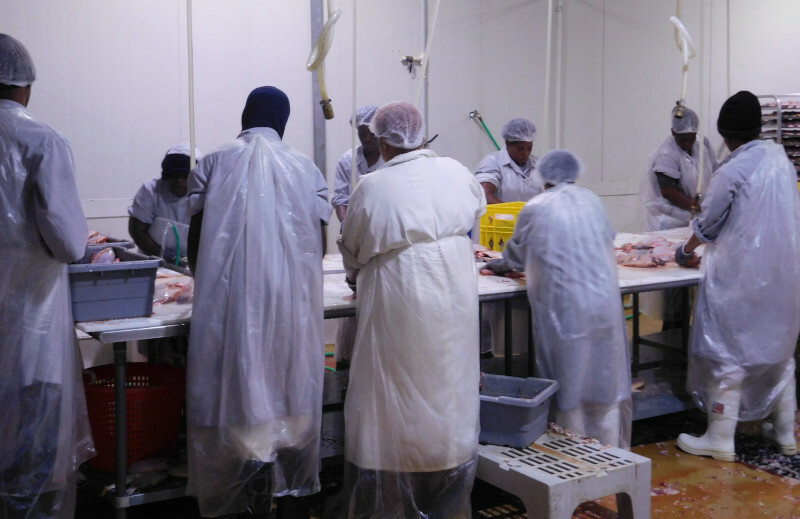 Caribbean Producers Jamaica, the main distributor, has its own labelling –Nation’s Choice and Rainforest Seafoods – so, Algix packages under their labels. All three species, red tilapia hybrid, pangasius (basa), and freshwater shrimp are produced at the farm site, including the breeding, nursery production, processing, and marketing. The hatchery is usually indoors, and other facilities are outdoors. The vast property encompasses roads, reservoirs, and about 120 acres of productive space. From that acreage, 75 to 80 metric tons of fish are produced on a monthly basis. The operation employs 100 regular workers – making Algix a valued employer in an area where not many other jobs are available. 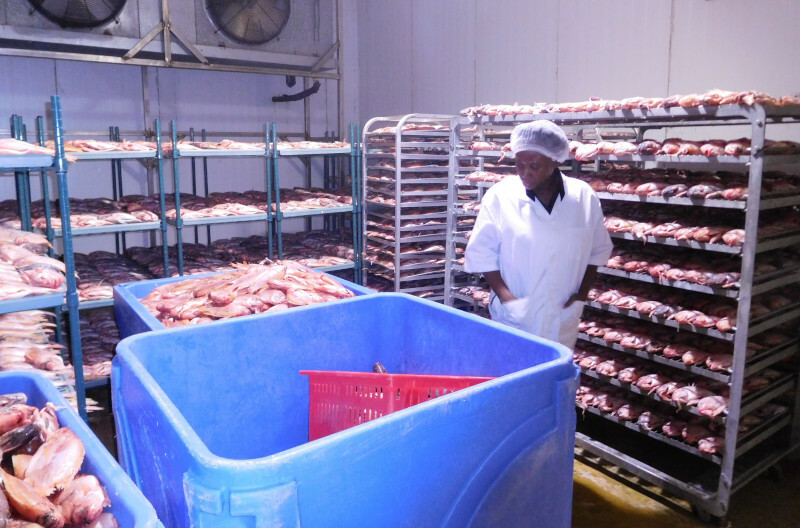 When Algix originally acquired the fish farm, there was a similar operation in place. Today, the company is using the same natural filter technology – a tail reservoir that filters the water and allows sedimentation to take place, and also pulls back nutrients from the water. It’s a natural biological treatment for water conditioning. The treatment is done in a designated 40-acre area, after which the clean water is discharged back into the Black River. Check out this handpicked feature on Caribbean Heart Care Medcorp – Trinidad.